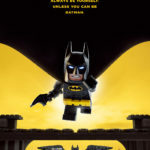 I’ve been quite impressed with the range of sets from The LEGO Batman Movie, but after seeing the film in cinemas not long ago, I’ve been trying my hardest to get every single one I can get my hands on. It makes it difficult when LEGO announces more and more excellent (and expensive) sets, but I’m trying my hardest. Clayface Splat Attack was one of the first ones I got. Clayface as a villain in the Batman comics has been seen since 1940. There’s actually been around nine different Clayfaces over the years, some with very different powers, but the version that I think this one is based off is that of Clayface II, Matt Hagen. Open the box and you’ll find an instruction booklet and four numbered bags. 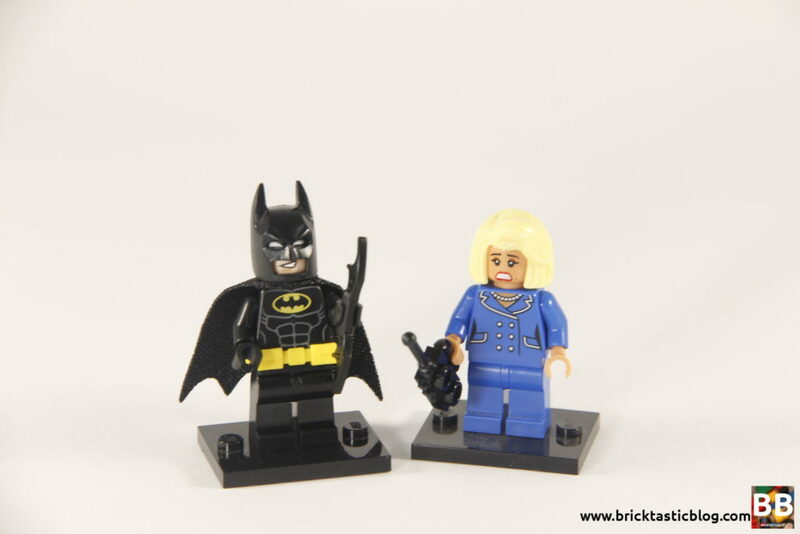 As usual, let’s look at the minifigures first. This set has two. 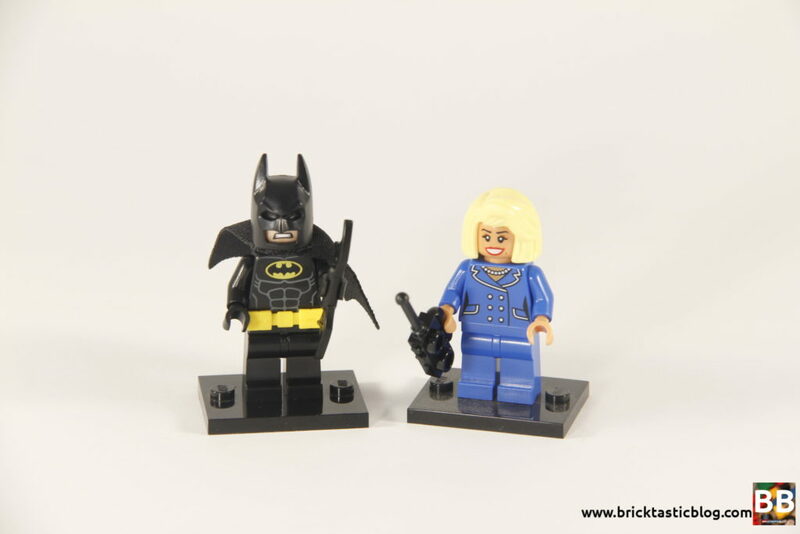 Batman, and Mayor McCaskill. Batman in this set is pretty standard for this theme. He’s got one of the new capes (they’re made of a much softer fabric), and carries a batarang. Mayor McCaskill is unique to this set, and comes in a blue suit, and has a brand new hairpiece. I think it looks great! She’s also got nougat skin. Maybe she had a spray-tan? Both minifigures also have reversible heads. This set contains a ton of parts in Medium Nougat (about half). It’s one of the reasons I bought the set. There’s so many different types of parts in the one colour, it’s staggering. Plenty of 2×2 round plates (67), and 1×1 round studs (81), as well as bows, plates, rockers, and more. It’s a great way to build up the nougat collection. Many of these haven’t been seen before, so it’s a great way to stock up. Clayface’s eyes are printed, which is a bonus – I was fully expecting a sticker. The half circle walls used in the hammer will come in handy down the track as a tree trunk, I’m sure. 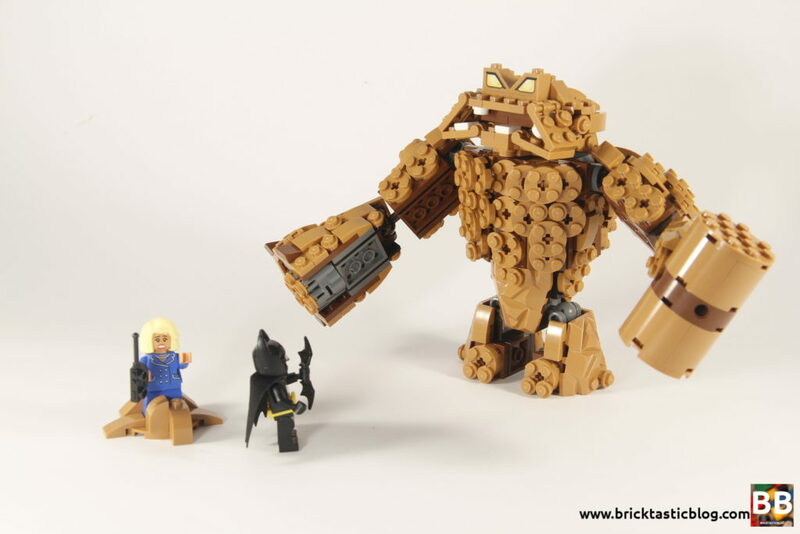 Clayface is surprisingly agile. He’s got movement in his neck (only up and sideways, no down – his chest is in the way), his legs (somewhat), and of course, his arms. Unfortunately his mouth doesn’t move very well. I was hoping that it would be possible to make him smile, but it doesn’t work. His eyes can be swapped to make him look sad, but that’s about the extent of it. The six barrel stud shooters are excellent. It’s messy, but a lot of fun – prepare to lose some studs. The big hammer is an excellent addition – perfect for squashing minifigures that aren’t paying attention! There’s a plethora of great SNOT techniques here. 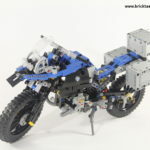 This set is ideal for teaching new techniques to little LEGO fans if they haven’t had much experience with it. It all starts (after the little splat) with the chest structure. Studs are pointing at all angles, so expect to have quite a bit of fun building this set. The limbs are attached using two different joints. Ball joints for the hips, and rotating clickers for the shoulders. 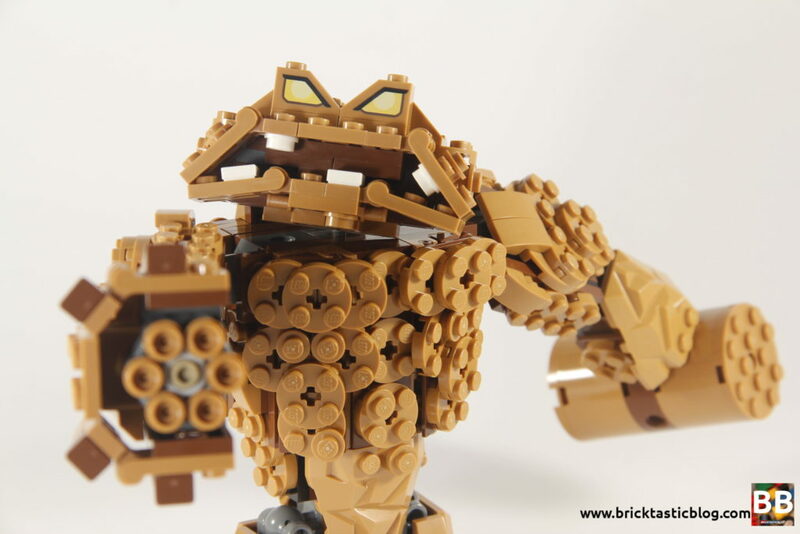 The basic premise of this build is to cover the body in clay. There’s hinged bricks (rockers) for the angles on the chest, and rock pieces for the nether regions. Once the legs and chest are done, the arms are added, starting with the upper arms. Progress moves to the head, followed by the forearms. The head was very interesting to put together. I wasn’t really sure what part I was building until I had the bottom lip sorted. I’m also really happy that the back is detailed. It means he’s versatile and looks great from all angles. 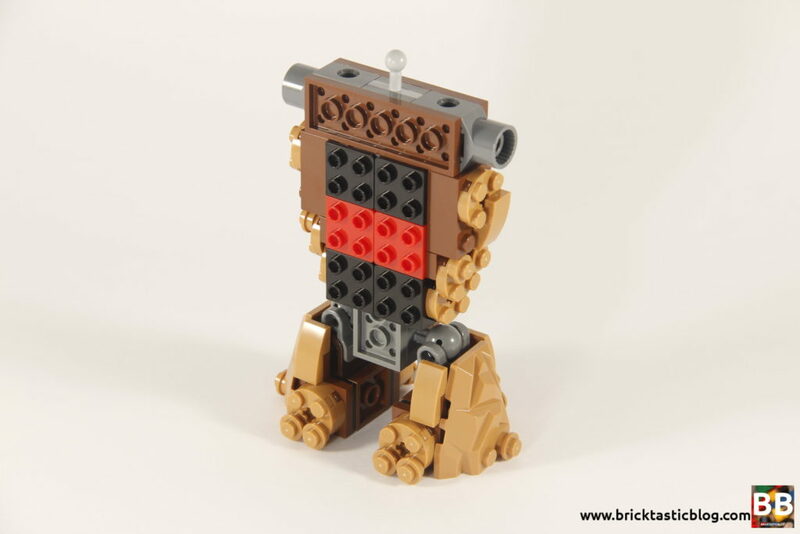 The build isn’t technical – it’s quite simple to throw it together, but you do need to make sure you aren’t inadvertently moving the rocker bricks on his chest. They move very easily. He’s very sturdy. Picking him up doesn’t mean that bits fall off. I think he’d be great to play with. I’m a big fan of the look of this guy. He’s spot on to the movie (of course), and is a great size compared to minifigures. Perfectly menacing! He’s currently terrorising my Modular street. He’s designed really well, although I would have preferred some more nougat elements under his upper arms, just so they blended in a bit more. If his hands are placed forward, the underside of the upper arms are on show. I really like the rounded shape of the “clay” around the stud shooters. It’s very clever. Overall, he’s excellent. Not blocky at all. He’s got a really finished, polished look to him. The value for money on this set is massive. It works out to be around 11c per part, which is a great price. With a massive range of new and exclusive parts, in a reasonably rare colour, for a great price. It’s also an external IP set, which usually means a little bit of a higher price. Not this time! This set is unique on a number of levels. 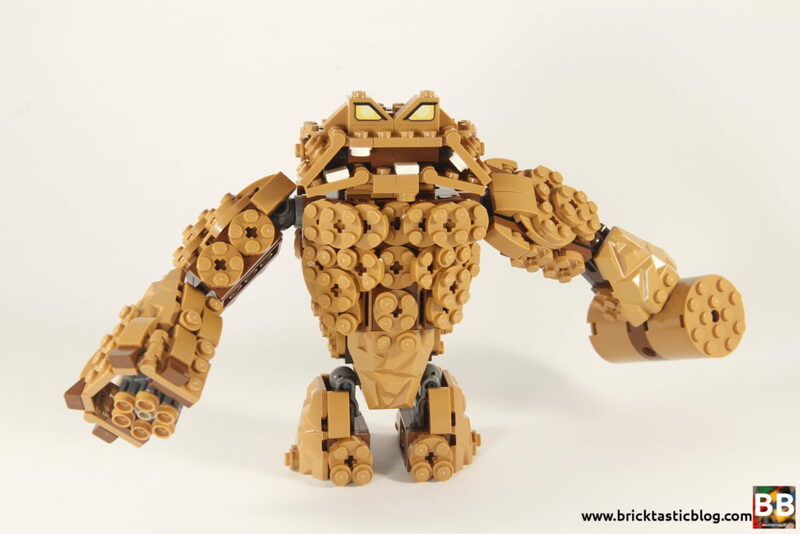 There’s the fact that it’s part of the new TLBM theme, Mayor McCaskill is unique to the set, and then there’s Clayface himself. Great nougat parts, and loads of them means this set will rate pretty high on the wish list. It’s affordable, too. That definitely helps! 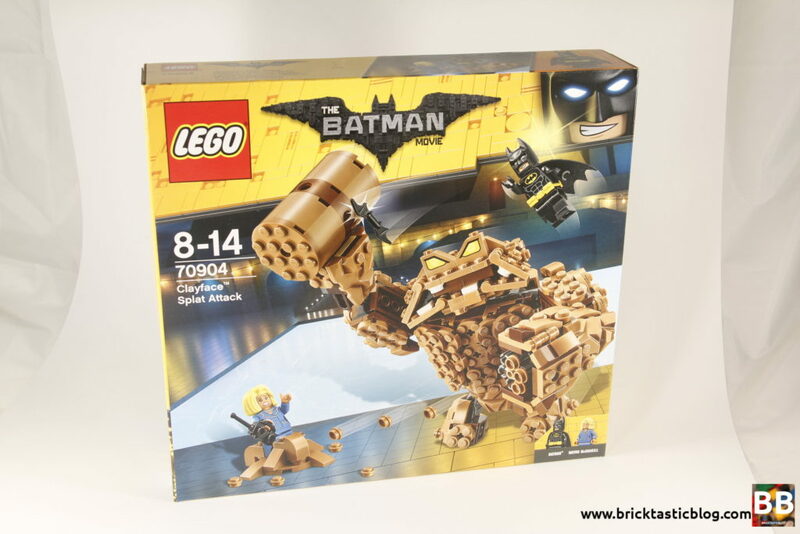 That’s it for 70904: Clayface Splat Attack! Next week, I’ll be taking a look at 75120: K-2SO from the new Star Wars buildable figures theme. I’m really looking forward to it! Batman vs Superman 2 anyone?